A log cabin not only needs a subset of the features required to design a standard house, but also requires some additional features specific to the design and drawing of log cabins. Where the logs extend beyond the wall and overlap, this needs to be shown. Vaulted ceiling are also possible. 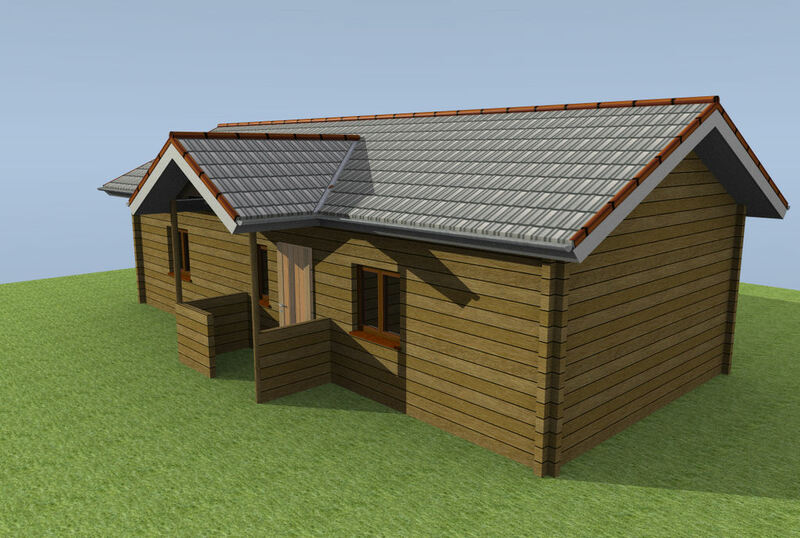 We recommend Visual Building Premium for log cabin designs, to enable you to export to other CAD software. If you do not need to export to dwg/dxf then Visual Building Professional is sufficient for your needs. Visual Building is cable of designing a log cabin using rectangular logs with protruding external corners. Log Cabins drawings can easily be created using component parts. If your log cabin designs have your own components parts (e.g. arched posts) then these can easily be created and stored in your own component library for future use in all your projects. 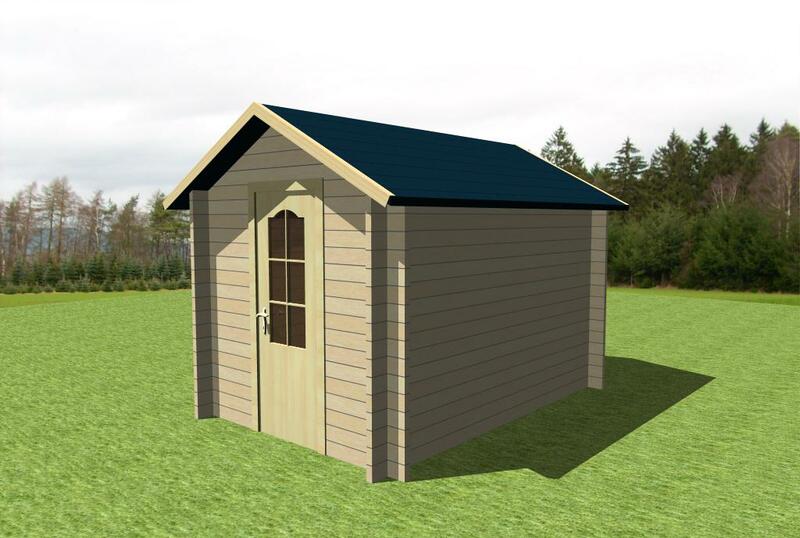 You can also create your own catalogue of completed log cabins ready to be inserted into a client's property plan.